I'm back!! Sorry for the unannounced hiatus. For the past 2 weeks, I've been doing "eat pray love". It's really more fun in the Philippines! My "buwis buhay" photo! 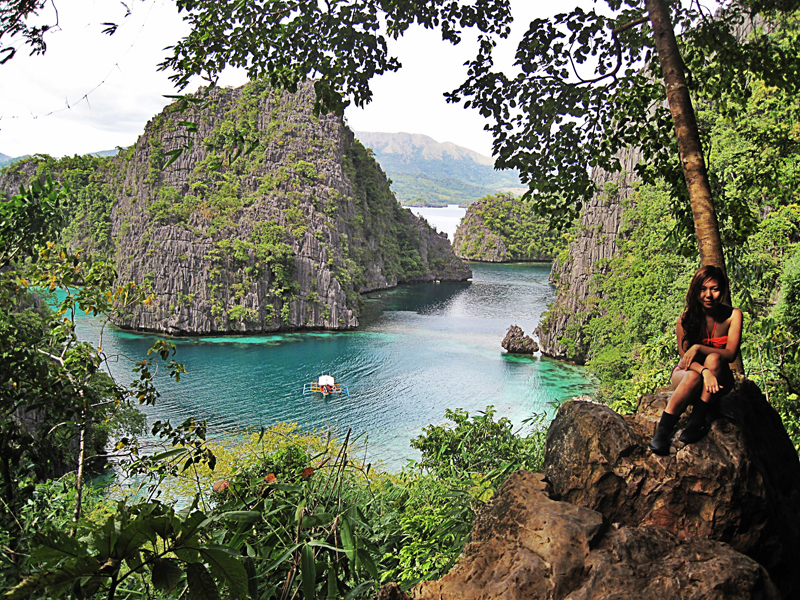 Kayangan Lake, Coron Palawan. Ahhhh I'm so inlove with Coron! I wanna go back. im so engrossed with the beautiful scenery and I forgot u're in the picture - nice shot ms.Tracy!